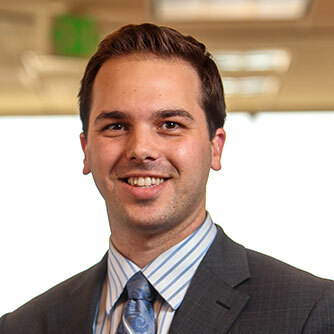 Jake Douglass focuses his practice on litigating complex personal injury, wrongful death and product liability cases on behalf of injured individuals and consumers. Since joining Panish Shea & Boyle LLP, Mr. Douglass has litigated cases involving trucking collisions, automobile collisions, public bus incidents, construction site injuries, and dangerous conditions of property. In these cases, Mr. Douglass has successfully helped his clients obtain millions of dollars in lawsuits against those responsible. Mr. Douglass completed his Bachelor of Science in Mathematics-Economics from University of California, Los Angeles, and his J.D. from Loyola Law School, Los Angeles. While in law school, Mr. Douglass honed his advocacy skills as a member of the nationally esteemed Byrne Trial Advocacy Team, whereby he was selected as one of only sixteen law students in the nation invited to compete in Baylor Law School’s “Top Gun” trial advocacy tournament. Mr. Douglass was also a national semi-finalist in the National Institute for Trial Advocacy’s “Tournament of Champions.”.